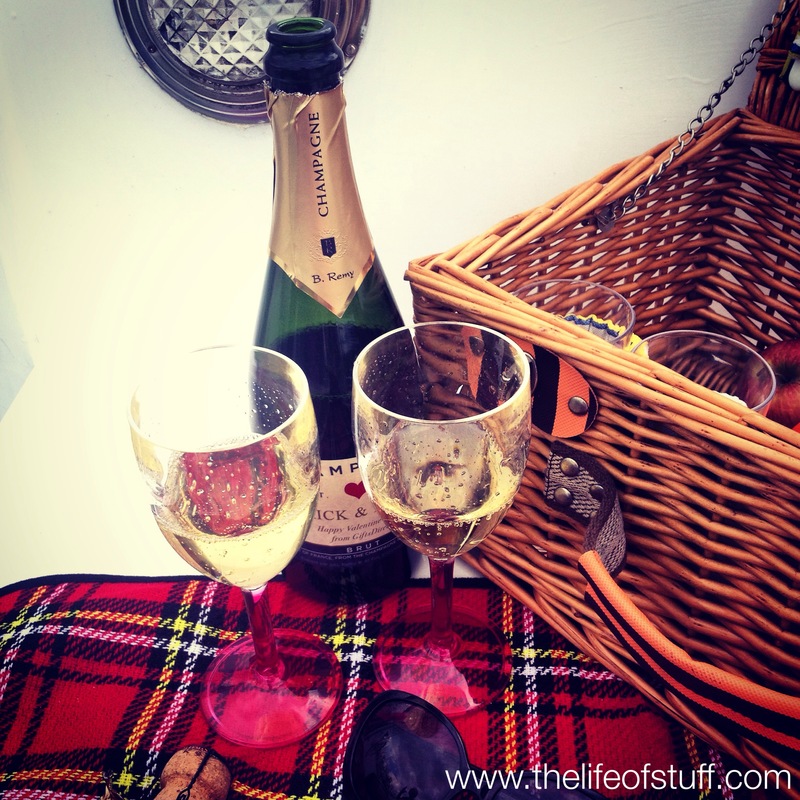 Followers on Facebook, Twitter, Google Plus and Instagram may remember these fabulous photo’s. 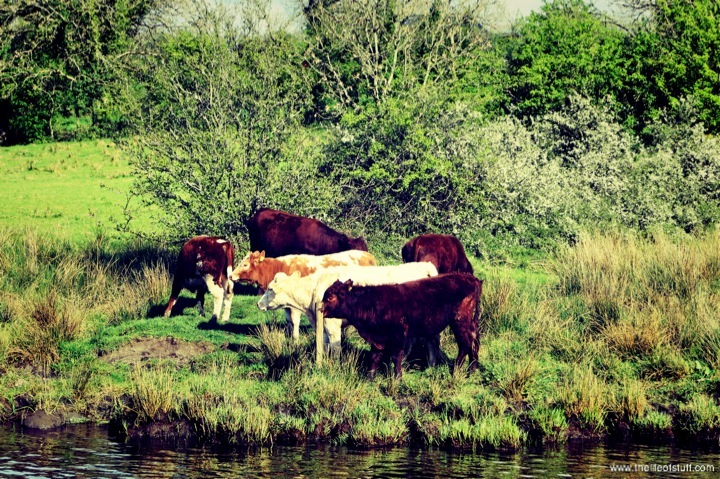 I shared them as Patrick and I cruised on our boat ‘Tranquility‘ up and down the Erne Waterways and the River Shannon. 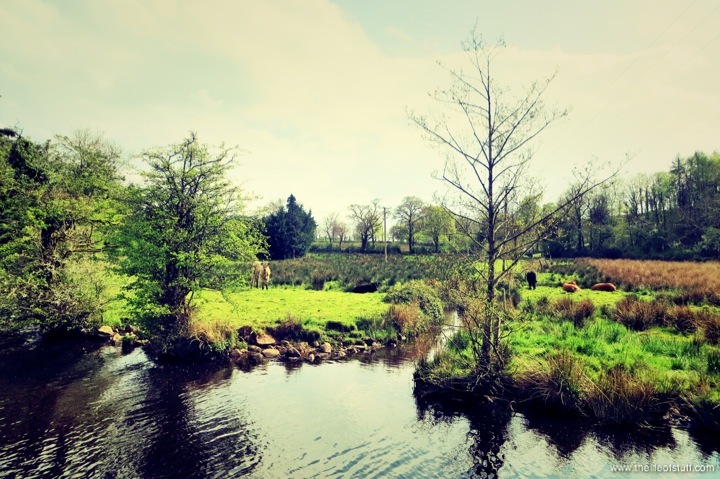 We were blessed with the weather apart from a couple of April showers but it was sunny none the less. Patrick returned home after the weekend looking like he’d been sunning himself on the beaches of Spain or Portugal. I returned with glow in my cheeks and over 450 photo’s! Yes I do get snap happy! 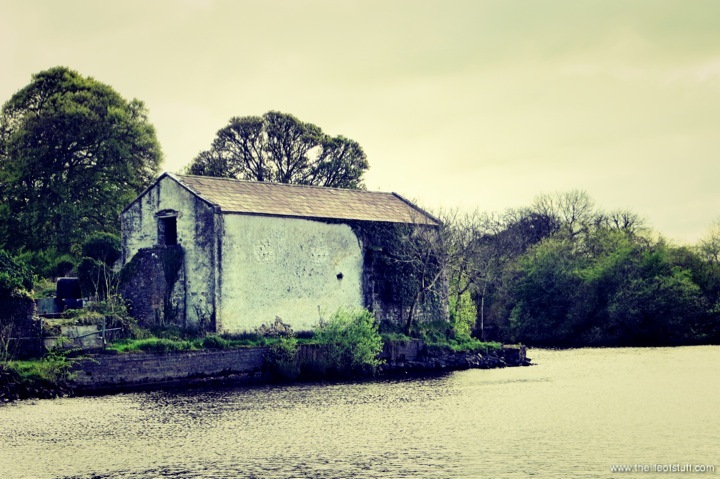 We both returned home with an everlasting memory and with the eagerness to return to the Erne Waterways and the Shannon, this eagerness still remains. Thinking about how to approach this post/article and I’ve come to the conclusion that the best way to share our experience is through photo’s. 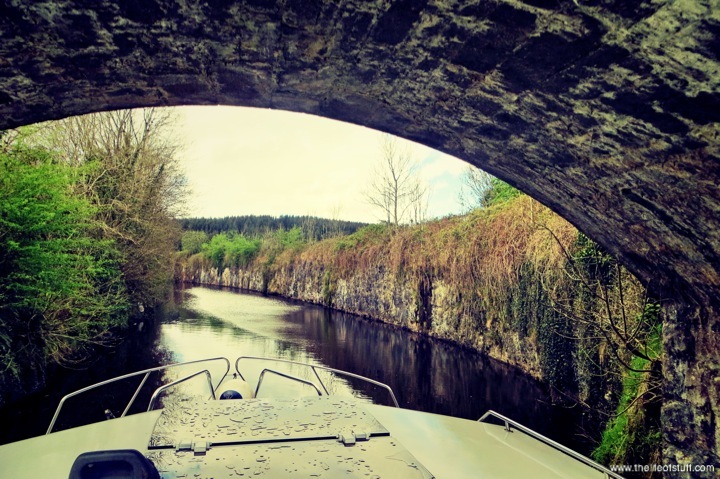 It has been hard narrowing them down to my favourite selections for this piece and I hope that they do justice to the wonderful experience we had, which is all thanks to RentOurBoat.ie, River Shannon Boat Hire. 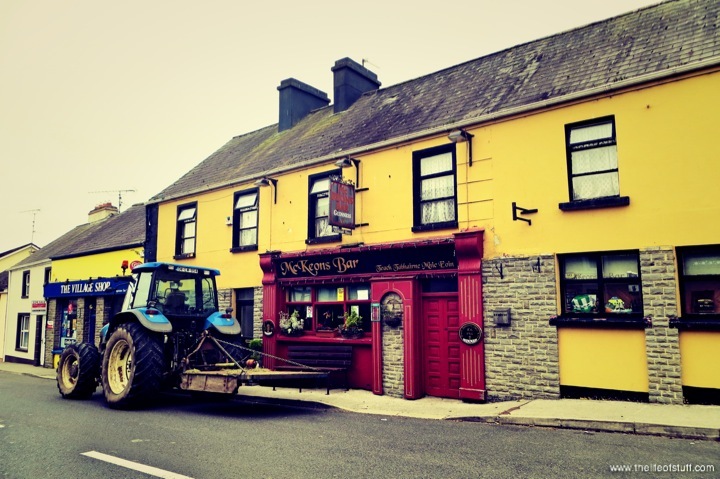 For more on this small Irish Owned and Family Run business, have a read of my post here. To view the smaller photo’s, click to zoom. 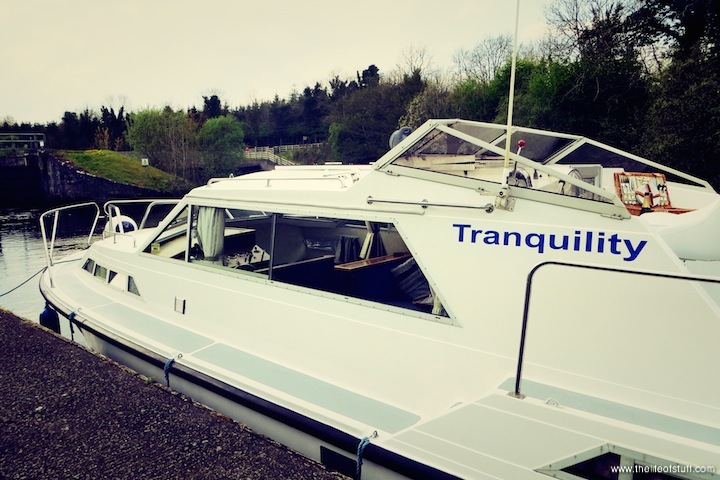 It all started off on Friday afternoon at the Marina in Ballinamore with a friendly and informative guided tour of our home for the weekend, our cruiser ‘Tranquility‘ from Liam. 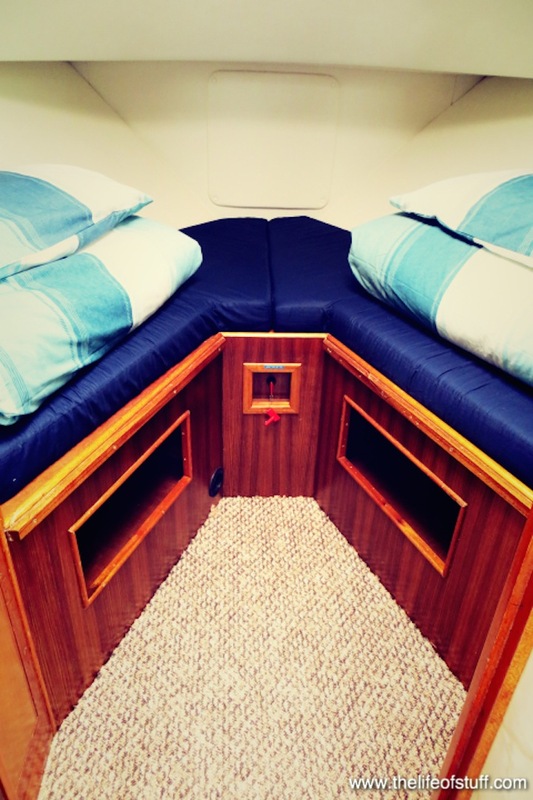 The boat had everything and more onboard. A Lounge/Dining area with plenty of space to kick back and relax. 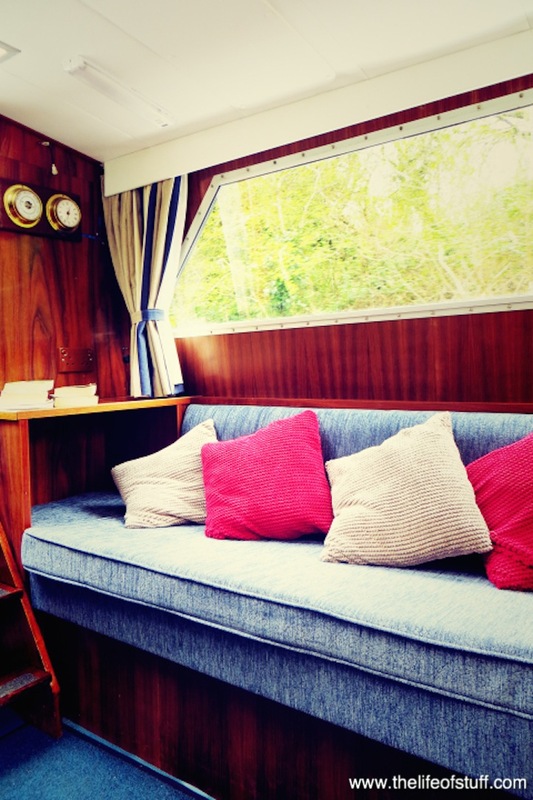 There was heating and thoughtfully supplied hot water bottles onboard if we needed them, we didn’t. 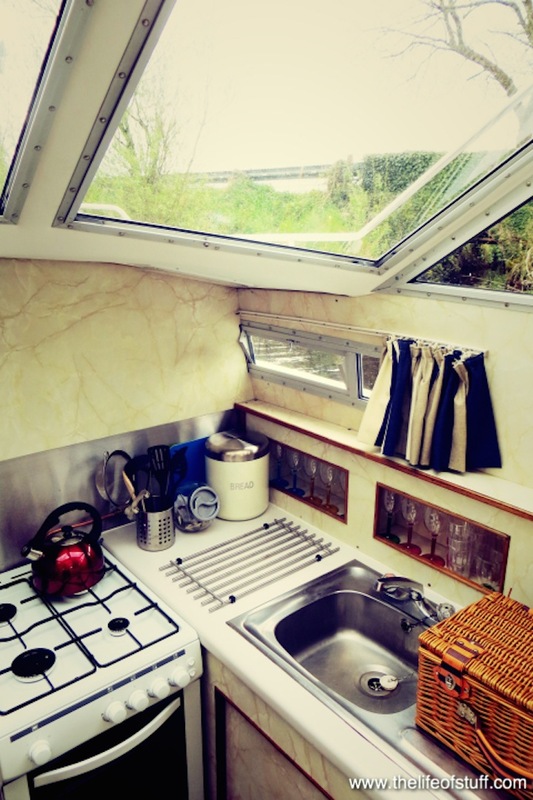 There was a kitchenette, full of everything you might need to rustle up a meal or just make a coffee. 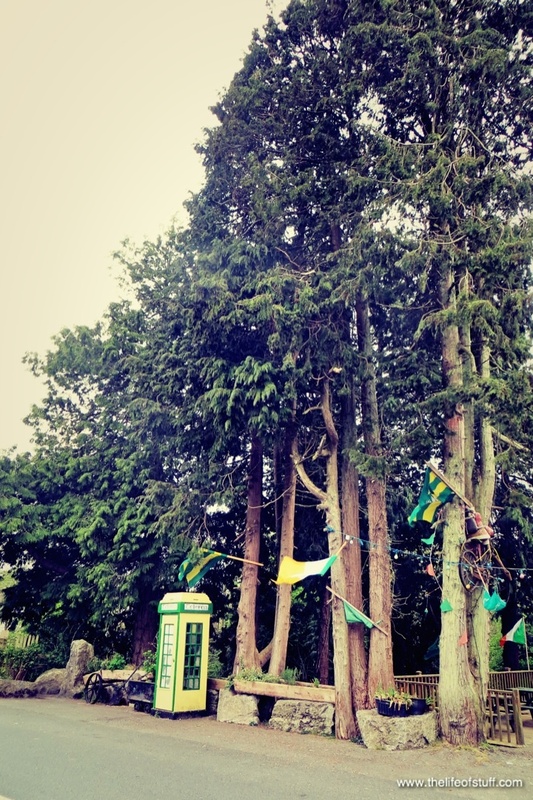 There was a fridge, a radio and even a very handy USB port for charging your phone. 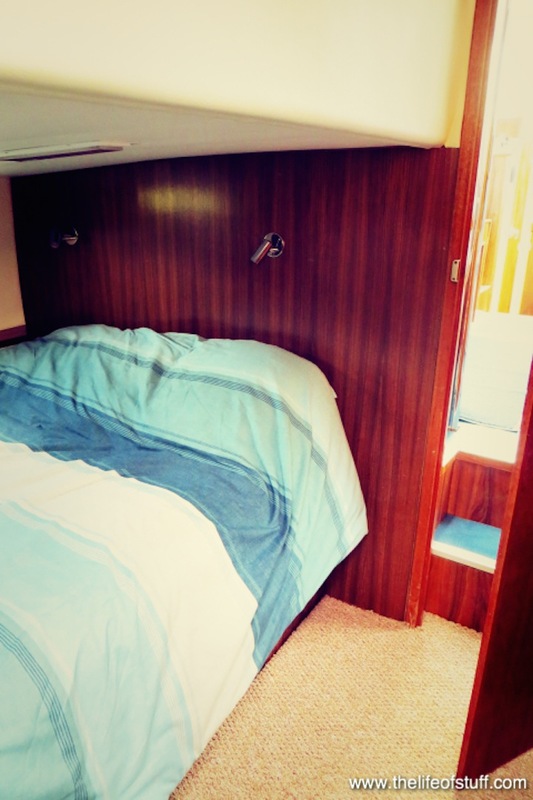 There were two bedrooms onboard, a twin room with ample sized beds and two small wardrobes. A fine sized double bedroom, the bed was really comfy might I add. This room had an en-suite bathroom where we showered each morning with piping hot water and freshly laundered towels, which were supplied. There was also a communal WC inclusive of shower. 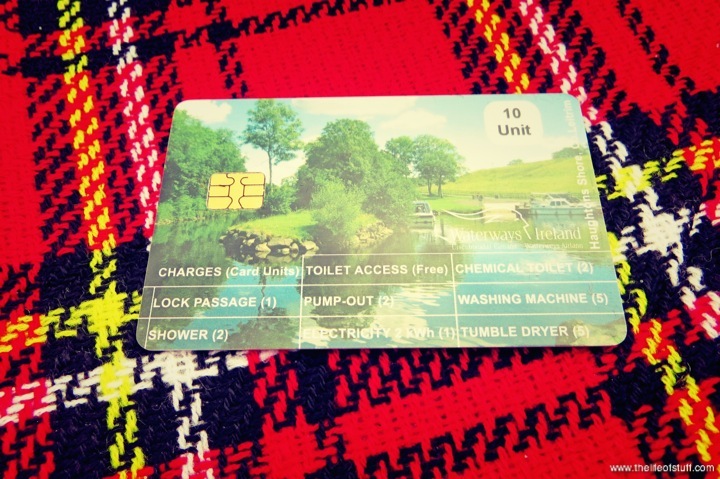 The loo’s are automatic and only use special water-soluble toilet paper, which was supplied. The boat could be steered from inside or up on deck. 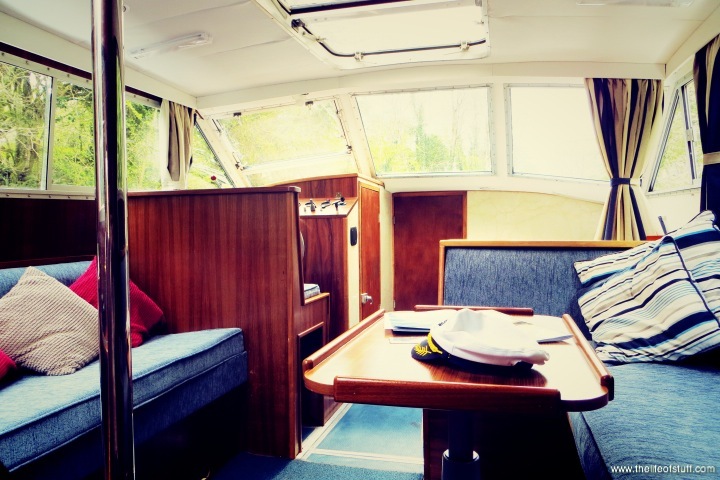 Patrick preferred to steer from the deck, with the wind in his hair and me by his side. 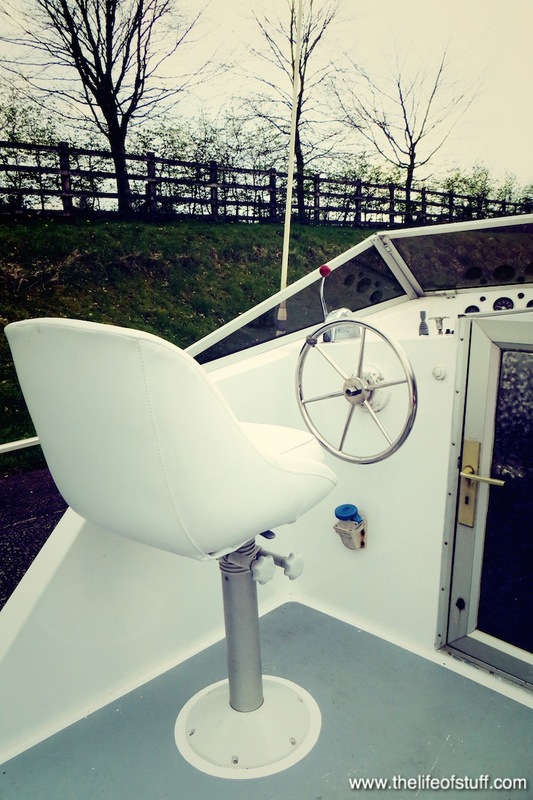 The steering was easy especially with the added benefit of the trusters to help guide and direct the boat. It was a thorough guide and we were shown all the ins and outs of the boat. 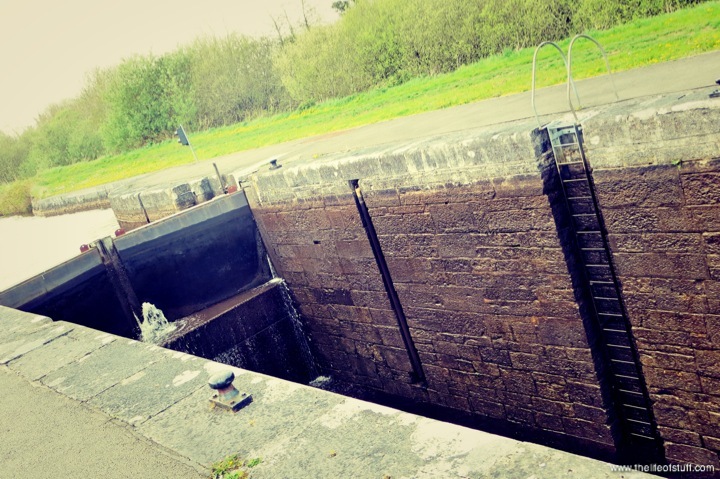 To help get us started we were accompanied to and through our first lock, which we were very grateful for and which was terribly helpful as we were complete novices. Before this we had to decide which direction we wanted to cruise. 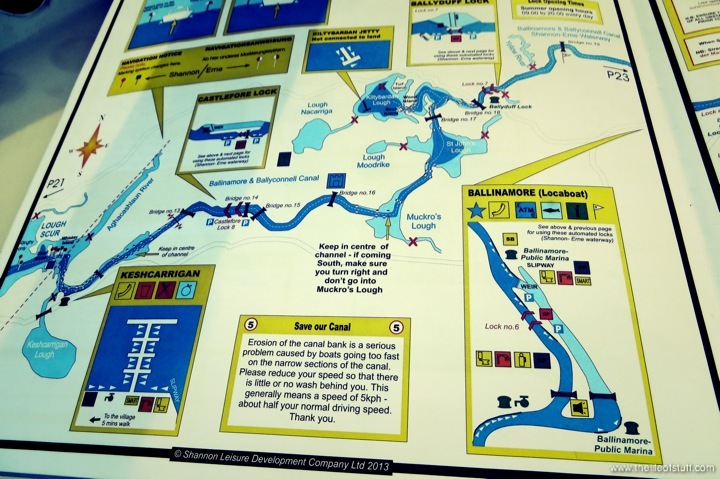 We decided we would make our way South towards Keshcarrigan, Leitrim, Lough Key, Boyle and possibly Carrick on Shannon. The locks are very easy to work. 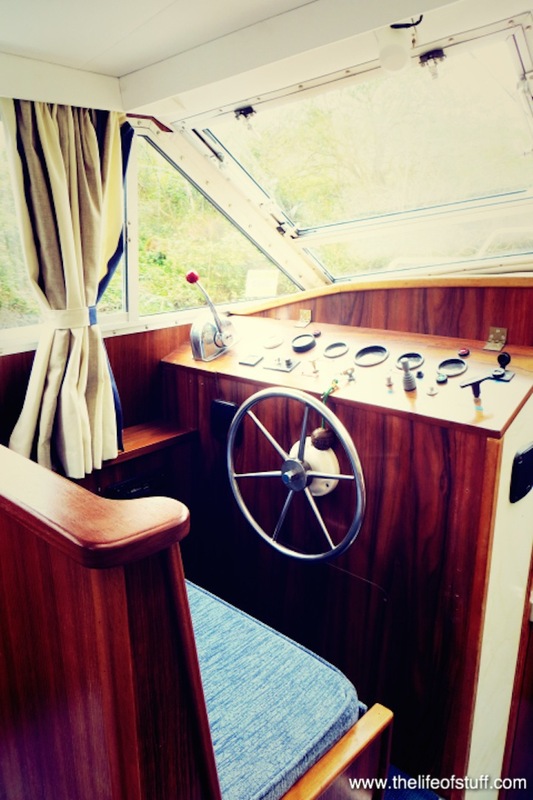 When a lock was closed a red light could be seen to advise you the gate was closed, a green light meant you could drive the boat straight in. 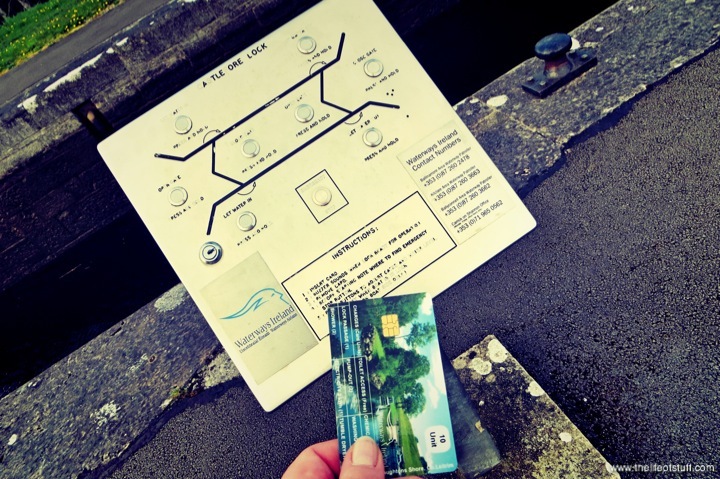 We are lucky here in Ireland to have automatic ones that work by inserting a card and pressing a few buttons, ‘let water in’, ‘let water out’, ‘open gates’, ‘close gates’. 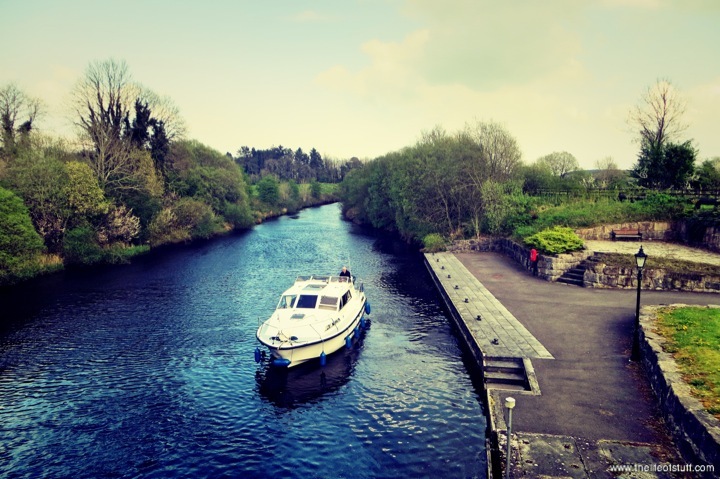 I found working them almost therapeutic but was also glad they were easy to use at the same time as there were quite a number to go through on the Erne Waterways from Ballinamore to the open waters of the Shannon. 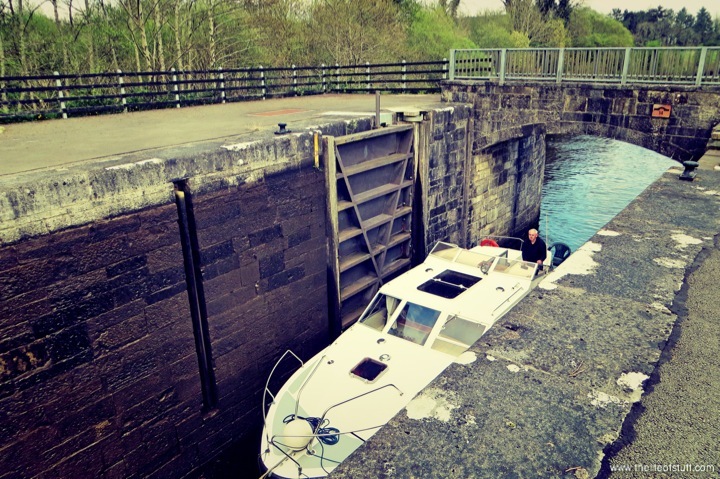 The system we had going was this; Patrick steered to the mooring area before the lock, I jumped off, walked to the Lock Machine, inserted my card, opened the gates for Patrick if closed, he steered the boat into the lock, I closed the gates, let in the water or let out the water at the other side, opened the gates, Patrick steered the boat out of the lock to the mooring area and I jumped back on the boat. It took us about 10 to 15 mins in total. 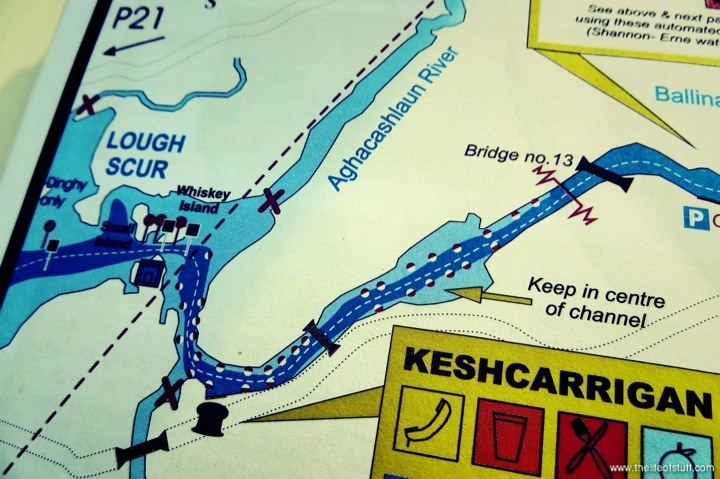 On our first night we moored up at Keshcarrigan. 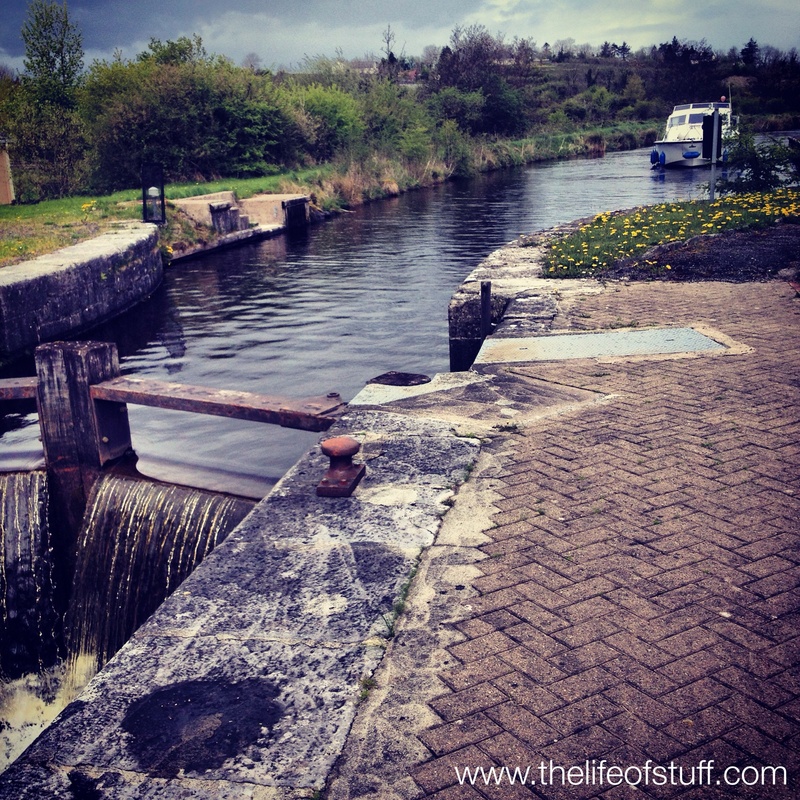 We probably could have made it further down the waterways and to the Shannon had we left earlier but we didn’t. 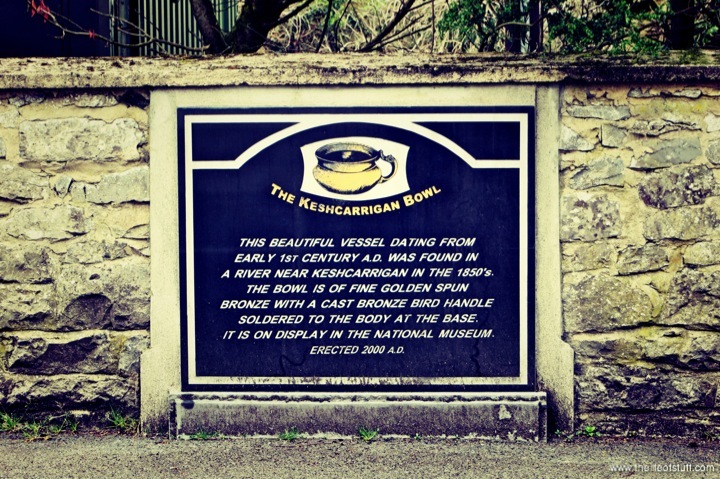 We didn’t mind as Keshcarrigan is a lovely little village with a couple of pubs. 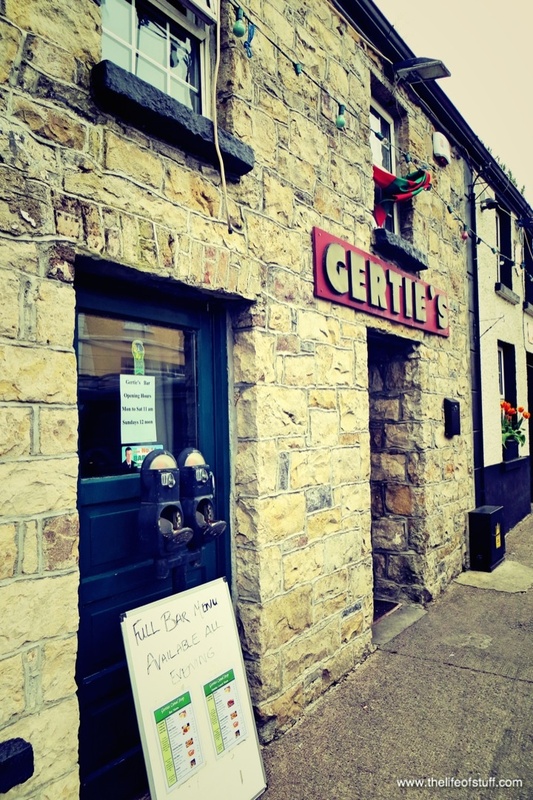 We visited Gerties, a great looking pub where we dined, enjoyed a drink, a game of pool and a friendly chat with Des the owner and a couple of the pub’s patrons. We even picked up the makings of a fry for our breakfast the next morning at the in-shop shop ‘Descos’, which included the famous ‘Boxty’. Nom. 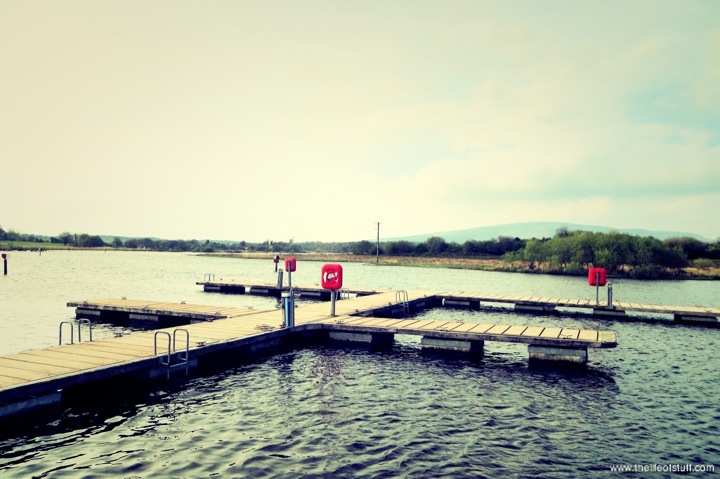 Saturday morning after a hot shower and a filling breakfast we set our sights on Lough Key and Boyle. 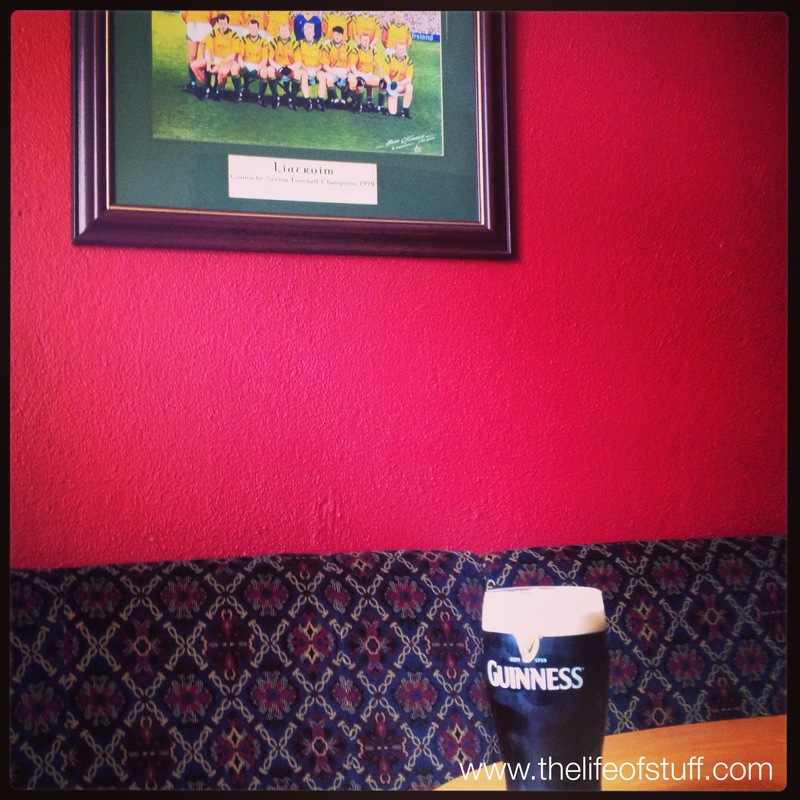 We stopped off at The Sheemore Inn in Kilclare where we were greeted with a smile and stayed for a wee while as I had to try the ‘Best Pint in Leitrim’. We bought a few more provisions in their shop and went on our way. 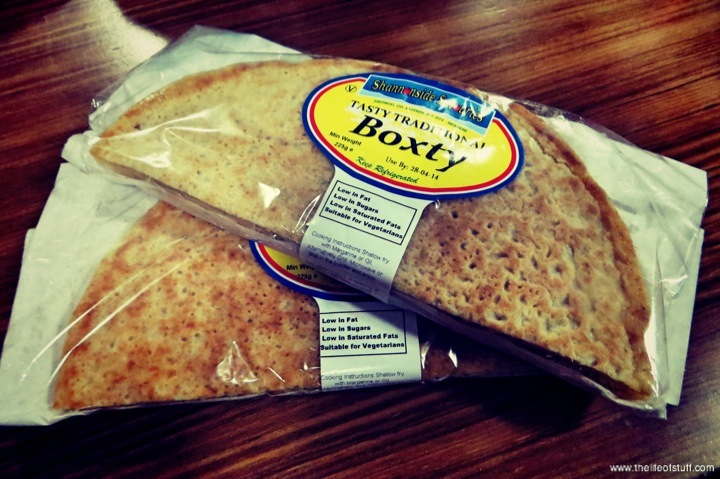 The following day on our way back we popped by again and were treated to some boxty, which was really nice of Mary and perfectly fine by me as the only times I have gotten my hands on the stuff was when I asked my Dad to pick it up when he visited his hometown in Co. Monaghan. His version is deliciously different but I really like both. 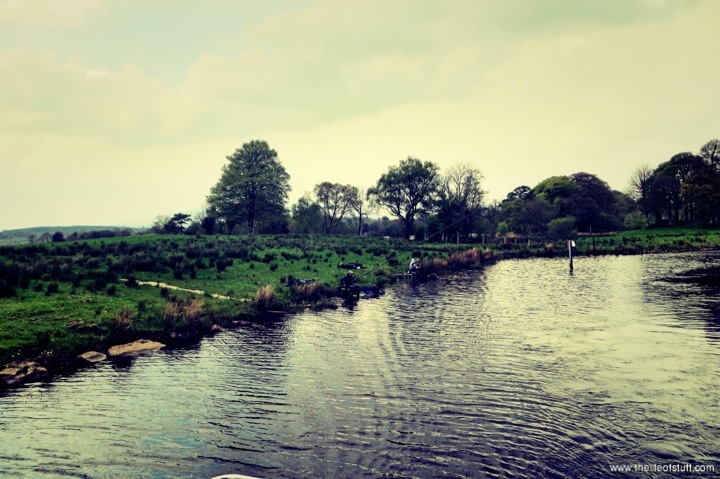 Also to note is the sense of community along the waterways – when we popped back to the pub, it was a hive of activity for a local charity BBQ. 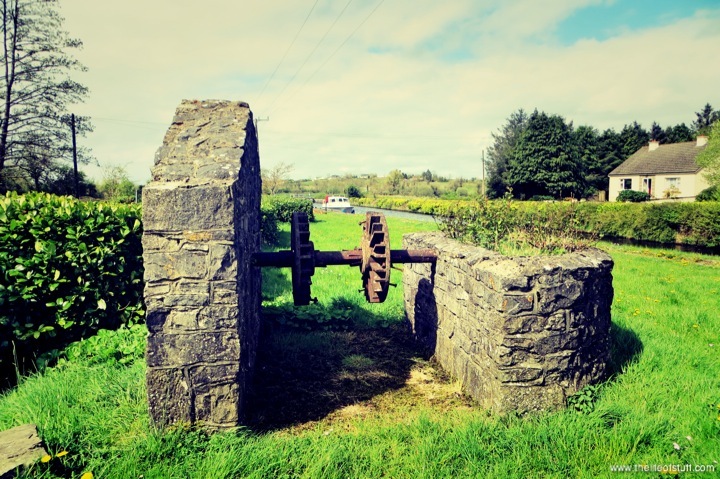 The scenery is to die for on the Shannon – Erne Waterways and with the sun shining, blue skies and nature all around, I felt so proud to know that this beauty is on our doorsteps. 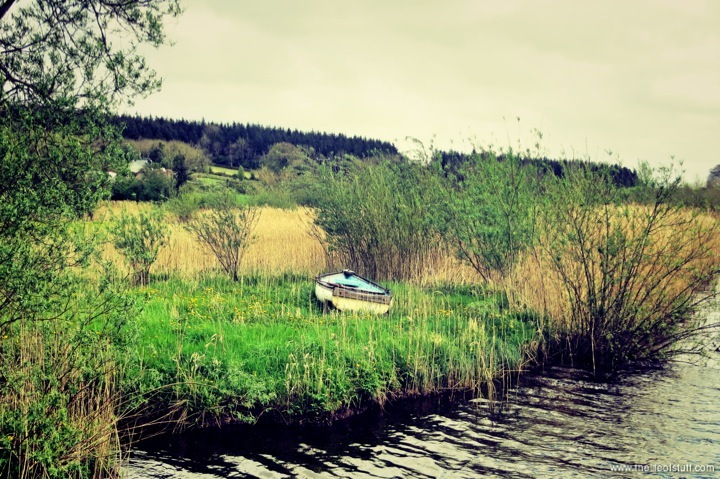 There is no wonder we have visitors to the waters year after year, no wonder couples and families hire boats to explore summer after summer and people find themselves retiring there. It really is beautiful and you can only experience it in all its glory from a boat, an experience you should have at least once in your lifetime. 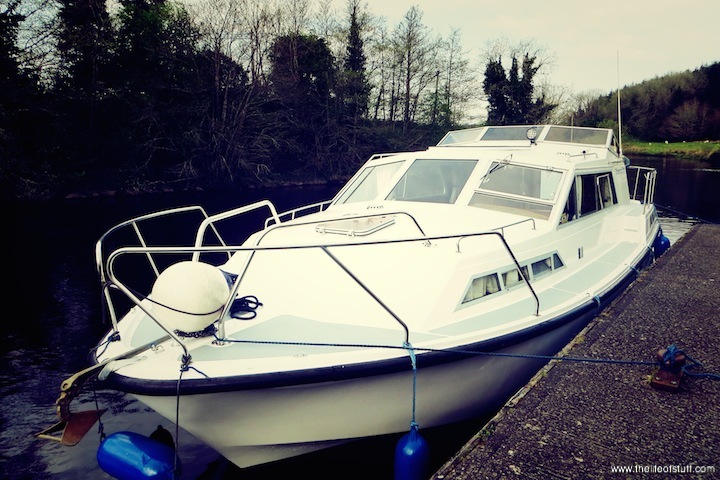 A decision to cruise to and moor up at Boyle as opposed to Carrick on Shannon was made on the fact that we wanted to cruise through Lough Key have a few drinks but nothing to wild on that Saturday night. 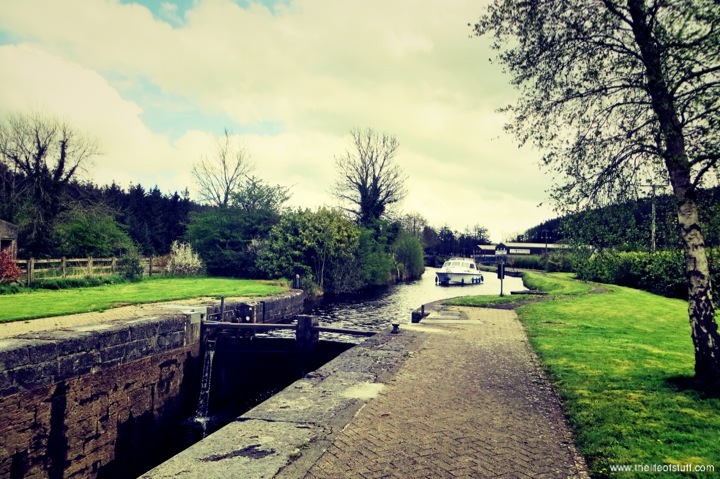 Boyle has a lively few pubs to choose from, Carrick is more on the energetic side as it is famous for Stag and Hen parties, plus we’d partied there in the past when cruising on a friends boat a few years ago. 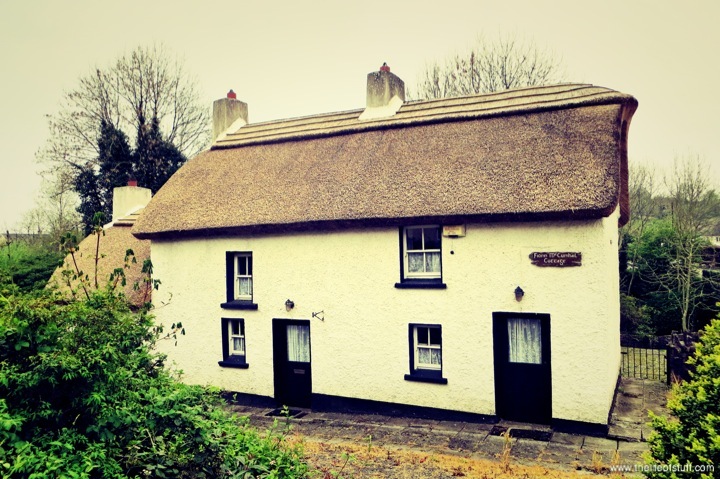 We decided we’d stay in Boyle Saturday night and visit Carrick on Shannon on Sunday. 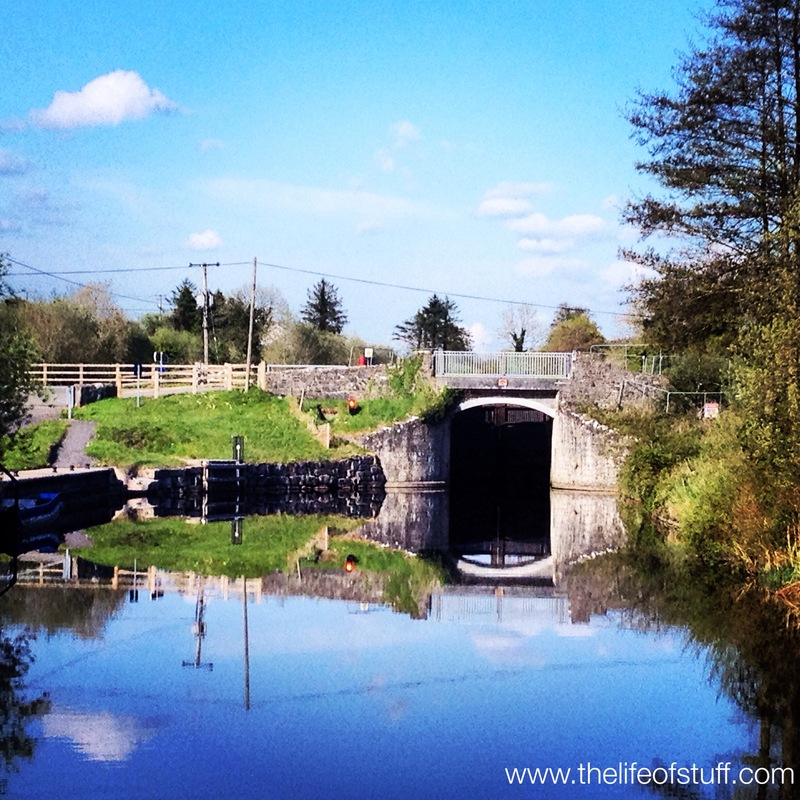 Through the Erne Waterways and on through Lough Key, which might I add is bigger than I expected we made our way to Boyle. 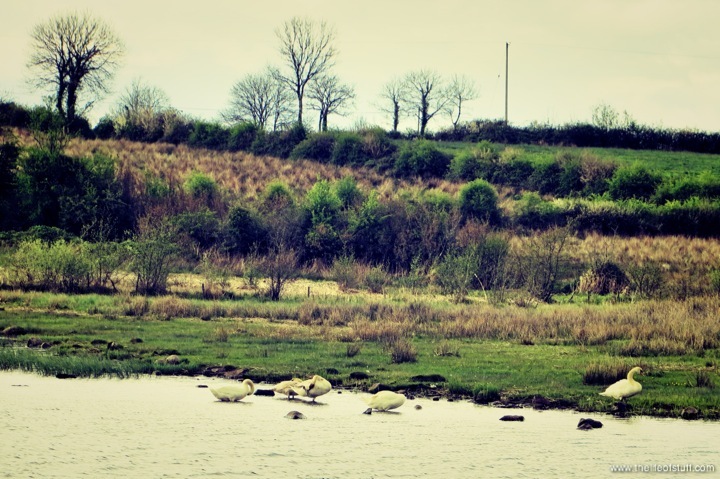 There are markings on the River Shannon and in each Lough to guide you away from shallow or unfit waters, making it easy to navigate. 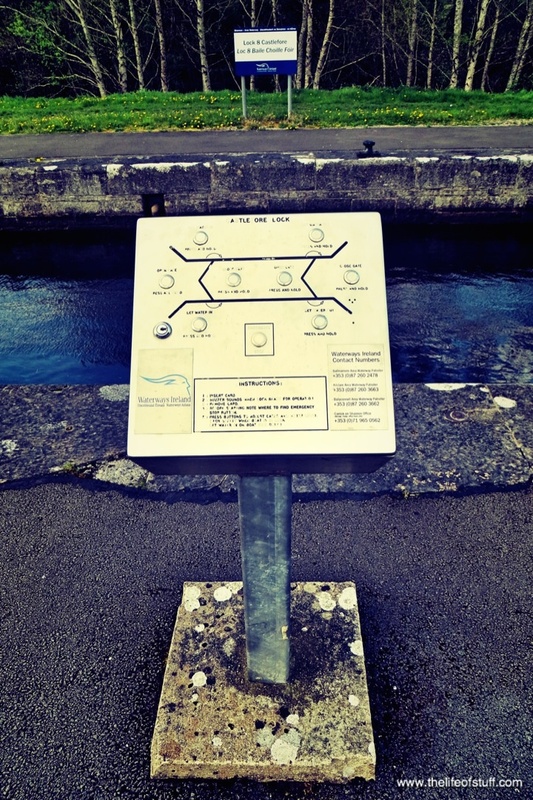 We found the Shannon Erne Waterways Map Book a go-to tool to help us decide which direction to take and where to moor. Earlier it advised on each lock and area. 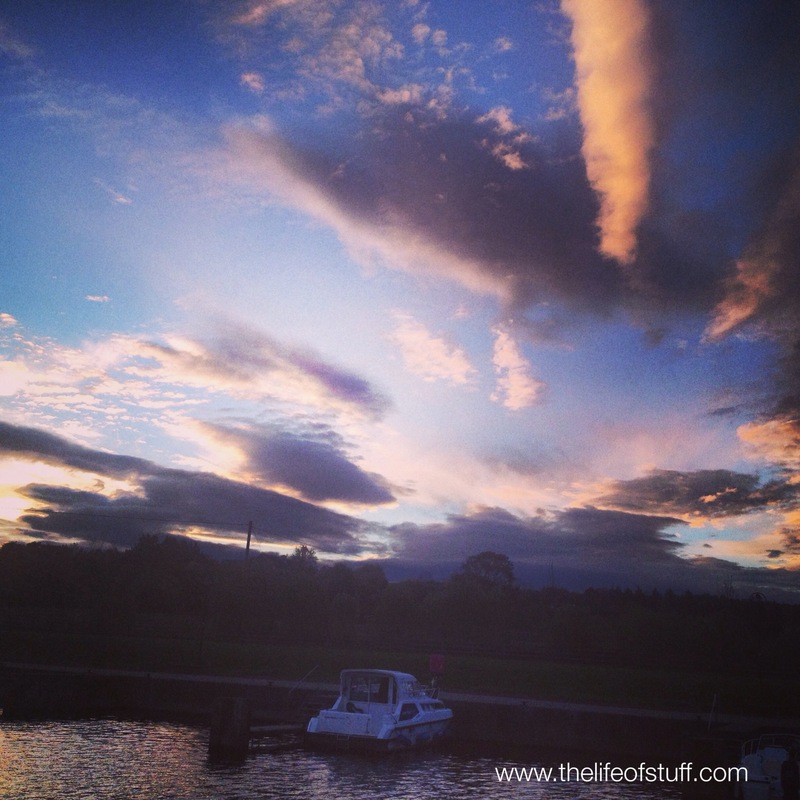 We moored at The Marina in Boyle on Saturday night and headed into the town for a few drinks. The Marina is a good walk from town so my advice is to get a taxi, which shouldn’t cost more than €10.00. 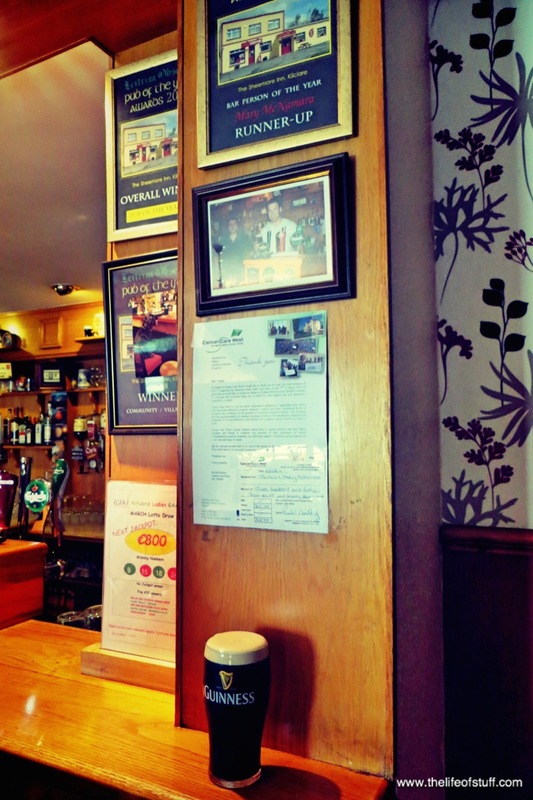 There are a number of lively pubs in Boyle so you can take your pick from the quieter pub to the disco bar. If the notion takes you can visit the town through the eyes of the famous T.V. programme ‘Moon Boy’ and visit the sights from the show which includes The Crescent at the top of the town and the Clock Tower. 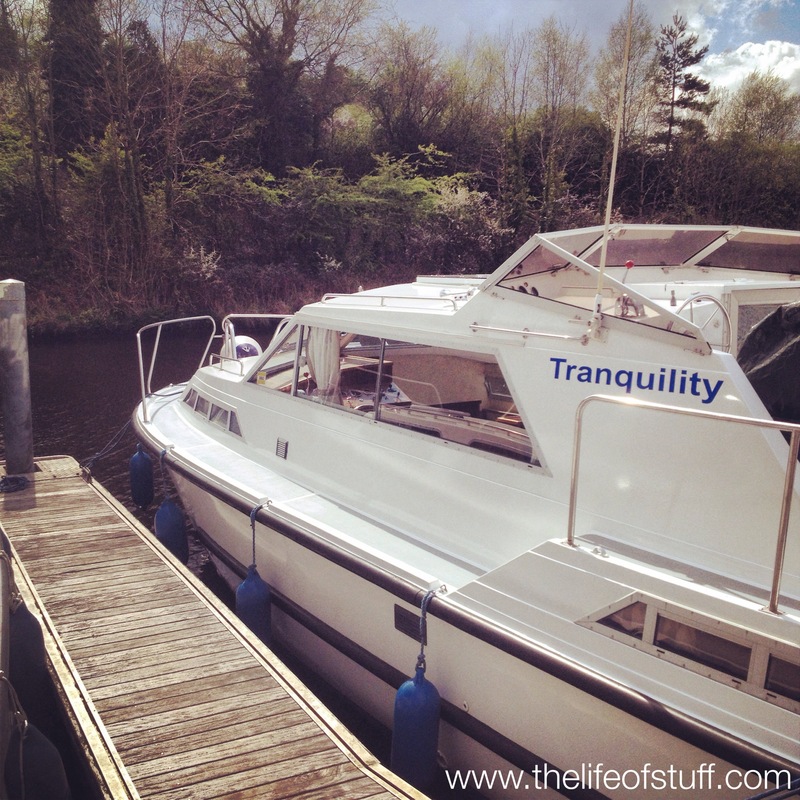 Sunday morning was a later than expected rise for us which did have an effect on our plan to visit Carrick on Shannon. 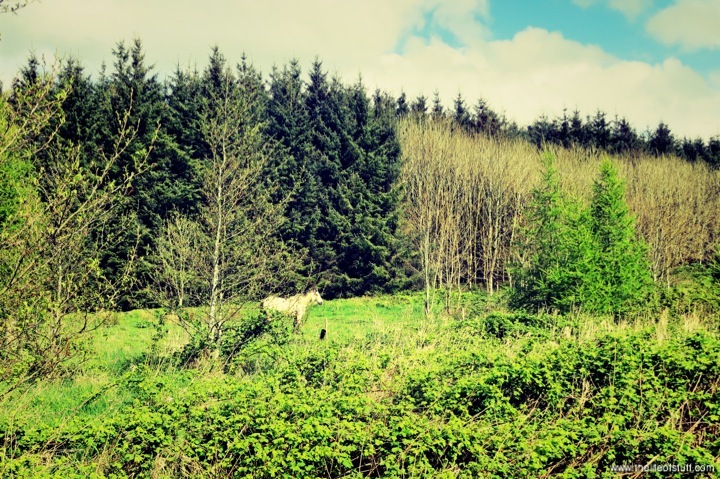 We decided to give it a miss with the intention of getting back to Ballinamore for 1pm on Monday morning. 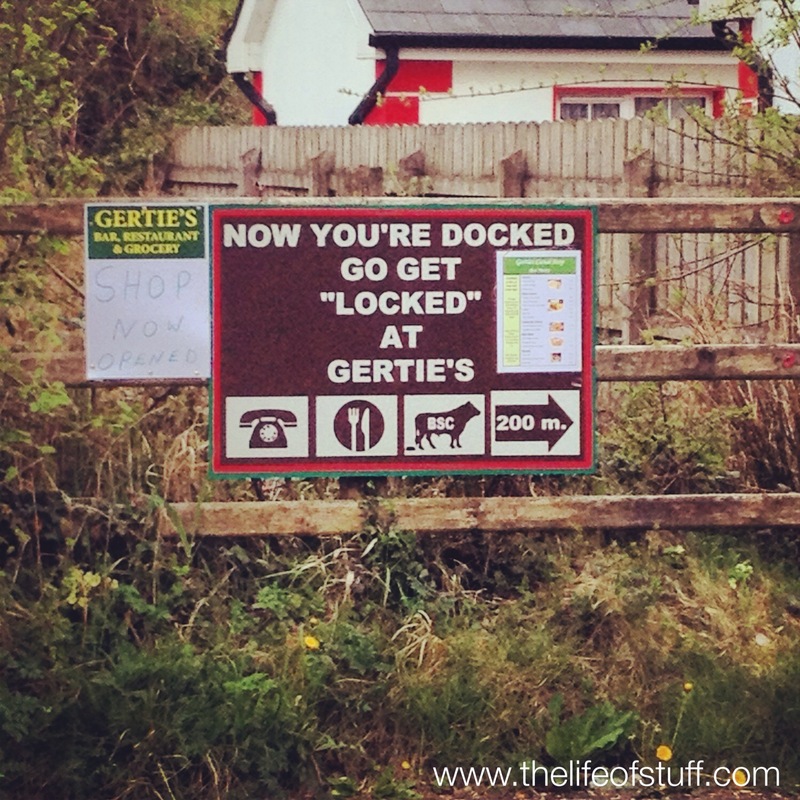 You see, you can only access the locks between the hours of 9am and 8pm, so as we did not leave Boyle Marina until noon or after, our time allowance had been affected. We didn’t mind. 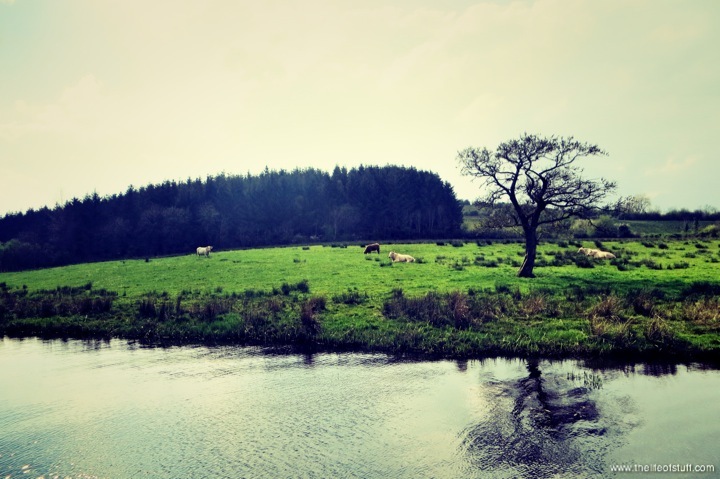 We were under no pressure but it is something to consider if you are taking the trip. 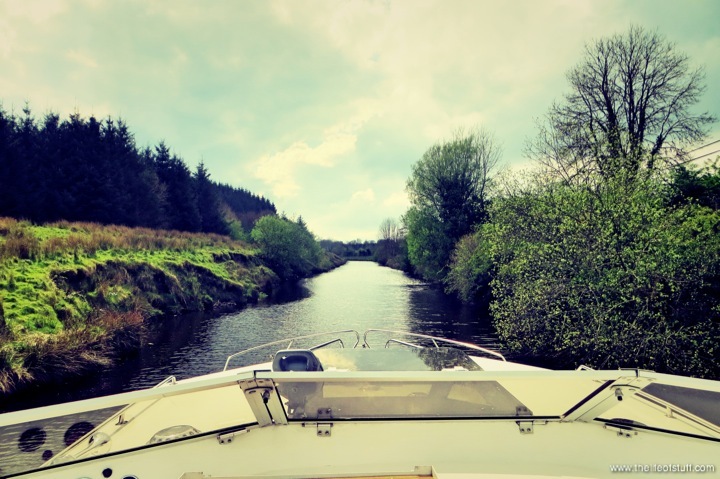 It is not about just getting to your destination from where you left, it’s returning to that place you left – after all RentOurBoat.ie did want their boat back! 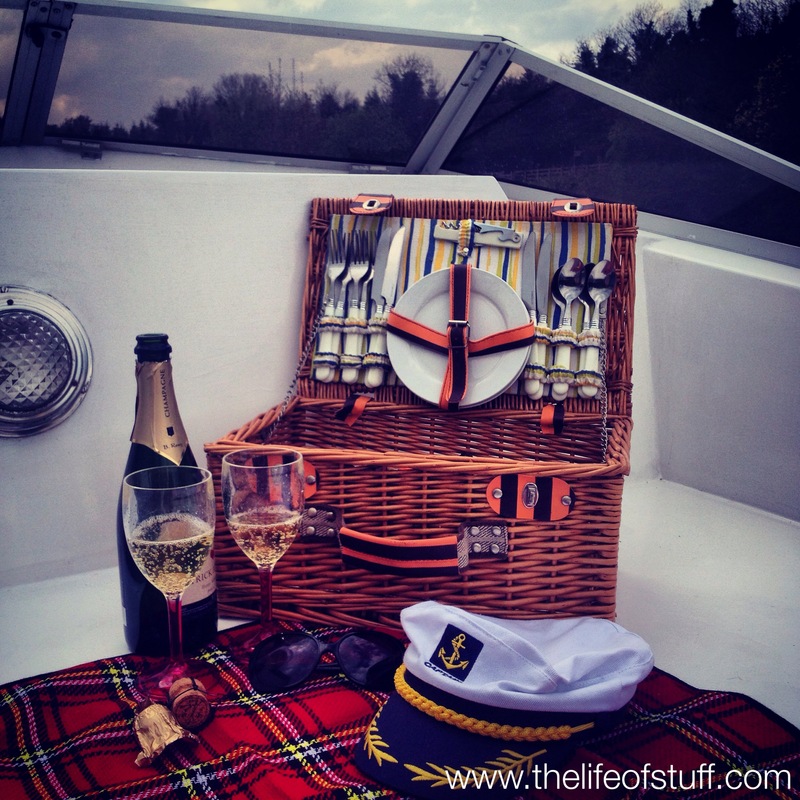 I made sandwiches onboard, we enjoyed tea, coffee’s and a few drinks. We cruised our way though locks and waterways, waved at passerby’s, nodded at cows and horses, beeped the boat’s horn under bridges, said hi to fishermen, watched a gold labrador play fetch in the water, chatted with the local Waterways Representatives, took photo after photo of clear waters that mirrored the landscape that surrounded them, marvelled at the amazing sunsets and smiled, laughed and loved every minute of it. 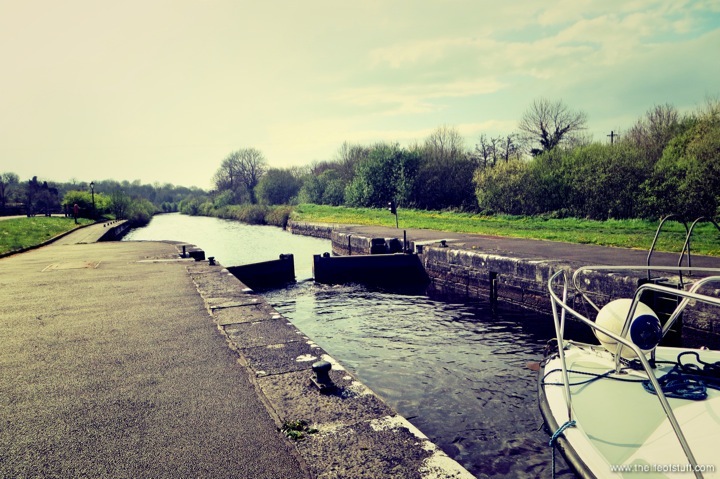 I could name all the locks and lakes we passed through, tell you the times it took us to get to from A to B to C, it could be helpful but it is not needed. 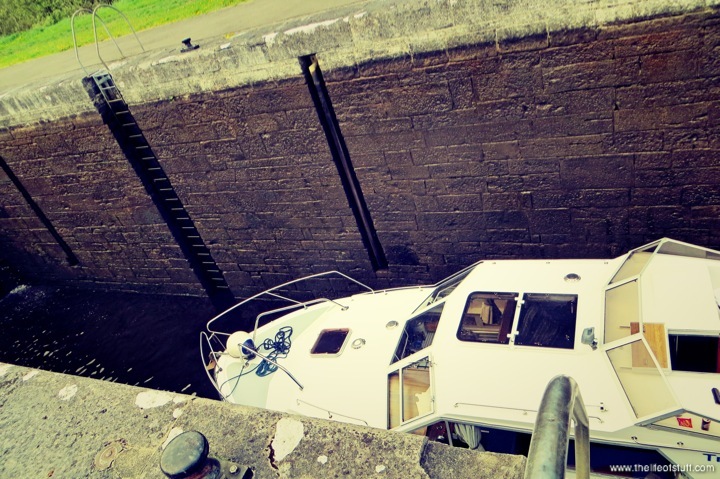 When you rent a boat, be aware of how long it took you to get to your destination, of the times the locks open and close for the day and that’s the calculated time it will take you to get back again. Take your time, relax, rewind, chill out and enjoy it. From someone who works to deadlines, travels to and from work in a bustling city, attends events, meetings and is basically always on the go, this was the perfect down time for me and an opportunity to spend some quality time with Patrick, working as team to get where we wanted to go, experiencing wonderful sights together and not missing the hustle and bustle of everyday distractions. Returning the boat to RentOurBoat.ie, we were greeted by David the owner. 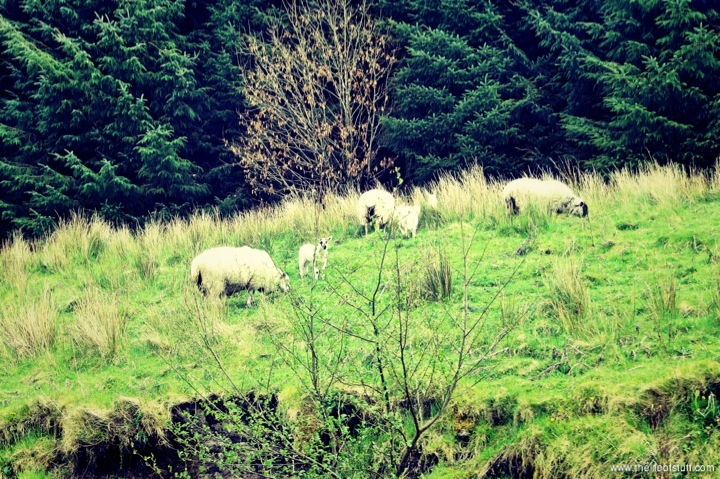 He’s a lovely man with a love for Leitrim, so much so he moved there some years ago. His two cruisers, ‘Tranquility‘ and ‘No Fixed Abode‘ are his water babies and it is evident by the excellent condition they are in, the care he shows them. 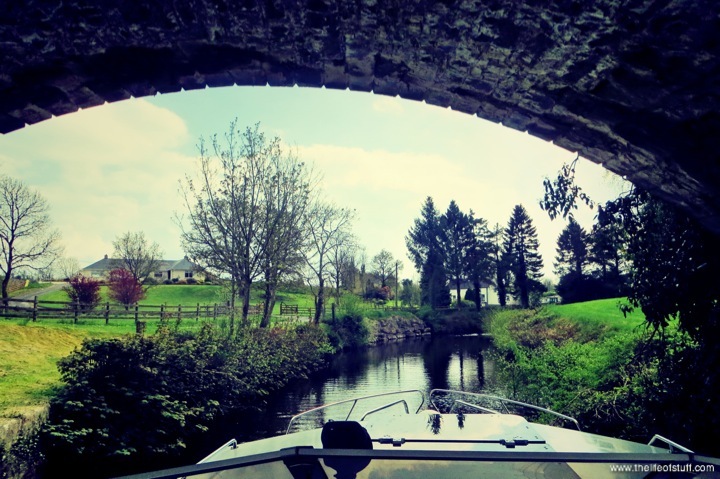 There is very little competition when it comes to renting a boat on the Erne and Shannon Waterways, which can keep hiring prices high but irrespective of that David continues to rent his boats out for the best value that can be found, but not just to anyone. 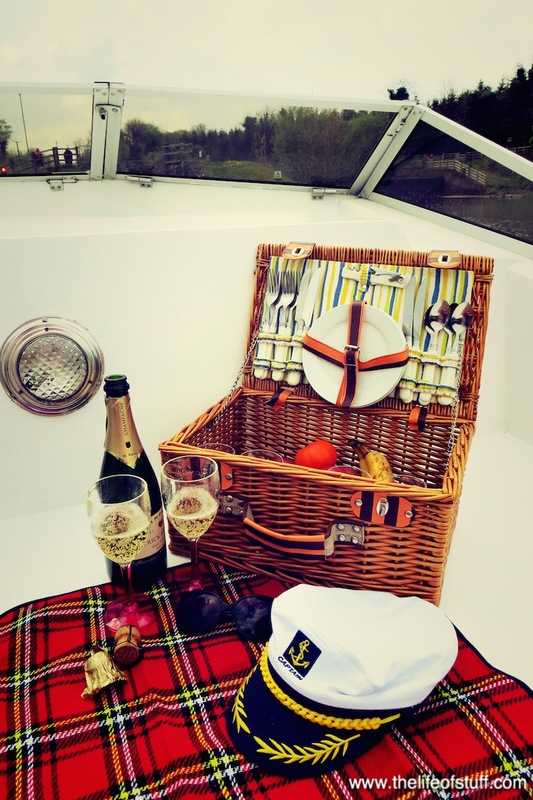 You won’t find 15 stags or hens aboard one of his boats. 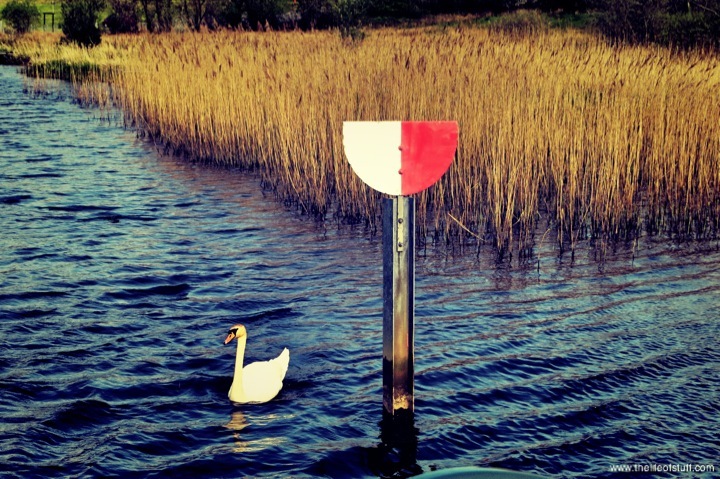 For more information on RentOurBoat.ie, visit their website at rentourboat.ie. If you have any questions for me about Patrick and my experience, please leave a comment or email me.